1. Thin, fine or bleached hair: 130?/266? 2. Dyed or Dark colored hair: use 140?/338? 3. Normal or Slightly curly hair: use 155?/311?~175?/347? 4. Thick, curly and wavy hair: use 190?/374? ~200?/392? 30s INSTANT HEAT. 23 pcs of special heating materials get heated up quite instantaneously and it will be ready for use in 30 seconds. 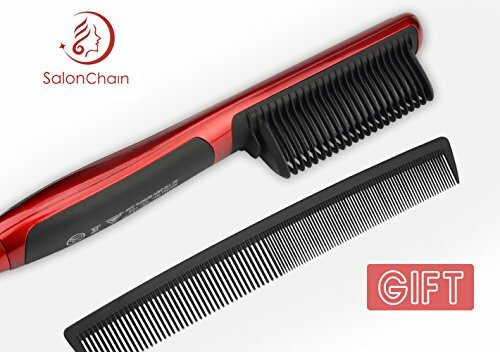 Then you can straighten your hair as you comb it. Simpler operation and same result as iron does. 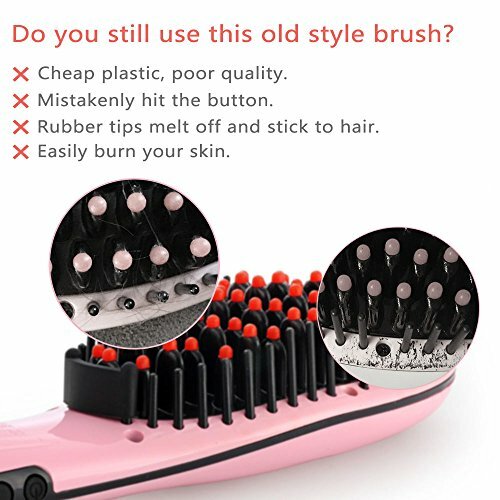 NO SIDE-EFFECT TO THE HAIR. 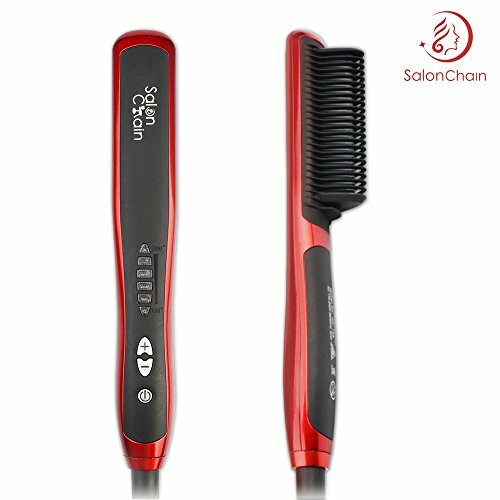 Nano anions released from heating plate form a protective layer of your hair, which helps protect your hair from dryness and frizziness. Save your money from salon and enjoy the professional result just at your home and with your own hands. 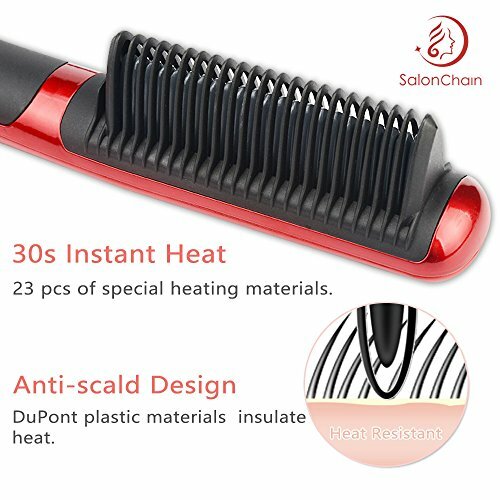 MULTI-TEMP FOR DIFFERENT HAIR. 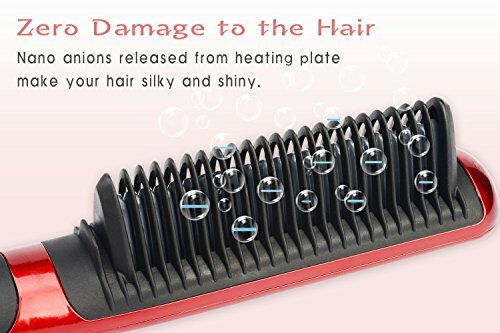 6 levels of temperature: 130 Celsius to 200 Celsius, are prepared for different hair. Liquid crystal display lets you control and monitor temperatures easily, and the 360° rotating wire gets you to hold the device at any angle for the best straightening results. PORTABLE TRAVEL DESIGN. Lightweight for travel Lightweight and 110v-240v design make it perfect for a road trip, vacation, destination wedding, honeymoon or a romantic getaway. 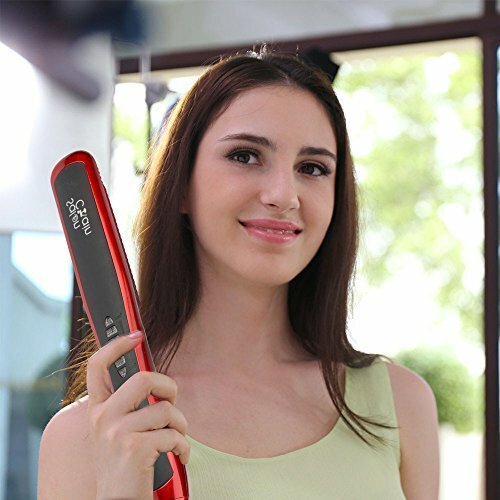 Straightener as well as curler, feel free to stylish your hair everywhere you go. WORRY FREE FROM BURNS. Quality DuPont plastic materials enable the brush surface to maintain a constant temperature to stop you from burning skin or hands. What's more, 90 days money back guarantee brings you more confidence. Try it now!